The 70-year-old Madoff, well respected in the investment community after serving as chairman of the Nasdaq Stock Market, was arrested Thursday in what prosecutors say was a $50 billion scheme to defraud investors. NEW YORK — From a Jewish youth charity in Boston to major banks as far afield as Zurich, the list of investors who say they were duped in one of Wall Street's biggest Ponzi schemes is growing. Around the world, investors who sank cash into veteran Wall Street money manager Bernard Madoff's investment pool spent the weekend calculating how much exposure they might have. 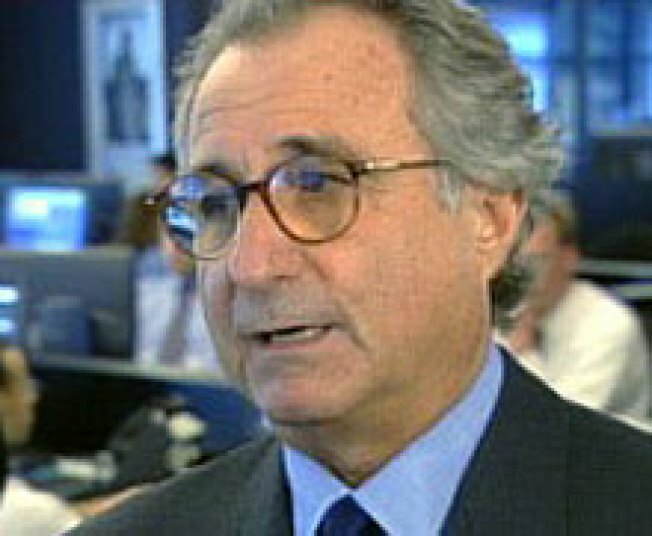 The 70-year-old Madoff, well respected in the investment community after serving as chairman of the Nasdaq Stock Market, was arrested Thursday in what prosecutors say was a $50 billion scheme to defraud investors. Charities across the country are expected to be directly affected by the collapse of Madoff's investment fund. The assets of Bernard L. Madoff Investment Securities LLC were frozen Friday in a deal with federal regulators, and a receiver was appointed to manage the firm's financial affairs. One of the largest alleged financial scams to hit Wall Street has investors wondering if they'll ever get their money back. New Jersey Sen. Frank Lautenberg, one of the wealthiest members of the Senate, entrusted his family's charitable foundation to Madoff. Lautenberg's attorney, Michael Griffinger, said he wasn't yet sure the extent of the foundation's losses, but that the bulk of its investments had been handled by Madoff. Reports from Florida to Minnesota included profiles of ordinary investors who gave Madoff their money. Some had been friends with him for decades; others were able to invest because they were a friend of a friend. They told stories of losing everything from $40,000 to an entire nest egg worth well over $1 million. They join a list of more powerful investors that have come forward, all worried about the extent of their losses. The roster of names includes Philadelphia Eagles owner Norman Braman, New York Mets owner Fred Wilpon and J. Ezra Merkin, the chairman of GMAC Financial Services, among others. Beyond U.S. hedge funds, more corporate names disclosed exposure to Madoff. Late Sunday, some of Europe's biggest banks acknowledged they, too, were exposed to Madoff's investment fund. Switzerland's Reichmuth & Co. said the private bank has $327 million at risk. It told investors that officials "sincerely regret" being affected. French bank BNP Paribas estimated its exposure Madoff's fund could lead to 350 million euros ($467 million) in losses. In a brief statement Sunday, Paribas said it has "no investment of its own" in Madoff's hedge funds but "does have risk exposure to these funds through its trading business and collateralized lending to funds of hedge funds." Spain's Grupo Santander SA, Europe's second-largest banking consortium, said its clients had an exposure of 2.33 billion euros ($3.1 billion) to Madoff's investment funds, mostly through the Optimal Strategic US Equity fund, according to reports.